As we continue to reflect on the 60th anniversary of Social Security Disability Insurance (SSDI) this year, it’s worth noting some of the ways the program has evolved over time. A lot has changed since DI started in 1956! We continuously work to ensure our programs keep pace with rapid changes in medical care, healthcare delivery models, assistive technology, and workplace requirements. Medical care: Our disability programs have strict eligibility criteria, and beneficiaries must have severe impairments. For many of the most severe impairments, we rely on comprehensive listings of disabling conditions to make our disability decisions. We update the listings periodically to keep pace with advancements in medical care and assistive technologies. This year, we published comprehensive updates to the medical listings for respiratory, neurological, and mental disorders. Technology: Medical records are essential for making our disability determinations, and each year we make nearly 15 million requests for records from healthcare providers and organizations to make medical decisions on about three million disability claims. Now, participating healthcare organizations send us medical records electronically through health information technology. With electronic records transmission, we can obtain medical records in seconds or minutes. That lets us obtain a claimant’s medical record, review it with the aid of automated decision-support, and make a determination faster than ever before. We currently can receive electronic medical records from about 7,000 healthcare facilities across the country, and are adding new providers and facilities on an ongoing basis. Healthcare delivery: Because we rely heavily on medical evidence, we adjust our policies to keep up with changing healthcare delivery models. 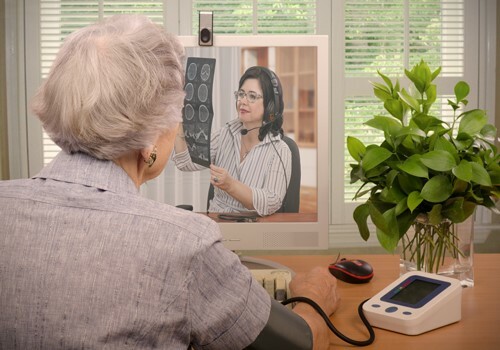 For example, we’re looking into the types of medical professionals that frequently provide care, and are considering whether telehealth – such as providing healthcare consultations remotely by video – might improve the medical evidence we can gather for certain populations. Updating Vocational Information: By law, we consider an applicant to be disabled if their medical condition prevents them from doing any job in the national economy, given the applicant’s age, education, and work experience. That means we need detailed information about the physical and mental requirements of a wide range of occupations in the national economy. We work with the Bureau of Labor Statistics to update this information and keep pace with the changing world of work. There’s Plenty You Should Know About Social Security Disability Benefits! This entry was posted in SSDI 60th and tagged Disability, disability benefits, disability conditions, disability determinations, disabled, healthcare, medical care, medical records, social security disability, social security disability benefits, social security disability insurance, telehealth by Gina Clemons, Associate Commissioner, Office of Disability Policy. Bookmark the permalink. I would like to know about any new information about SSDI. Is it possible to be eligible for a upgrade? I have been on SSDI from 2000, is my amount of money final? Yes, amount of money is what you get, except for the COLA increases (every) year which gives you a few dollars more. Good luck with getting increases. I hardly ever get an increase & when I do they increase how much they take out for Medicare so this year they gave us 0.3% increase which all went to the Medicare & we didn’t get a penny more in our check. Its a big joke that they think we can live on the little bit they give us. I can’t afford to pay for my meds without using cc. Good luck. I really wish I was able to work but I can’t. I can’t even function like a normal person. I’m trying to shop for the holiday & I can’t even walk thru the stores. Hi Debbie. If you have limited income and resources, your state may help you pay for Part A and/or Part B. You may also qualify for Extra Help to pay for your Medicare prescription drug coverage. Please visit http://www.Medicare.gov for more information. THAT REALLY IS NO HELP.Understand no car,no gifts,$750 .00 when rent is paid means Medicaid is on a sliding scale .More money out of the $750 .Food Stamps and no money for soap . I am in a very rough financial situation! I need better medical care and housing! Too many medical providers will not take Medicare and/or the advantage plans. Housing is GONE! The bleakness of what has and is happening for the elderly and disabled on Medicare is a disgrace! the rich people need to help us poor american people out then we poor people wouldnt have to beg,plead,ask for help all the time or do you rich congress and the rich people like to see poor americans beg,plead,and ask for help so you people can laugh at us. you people must think we poor americans are funny when we beg,plead,and ask for help and all we get is im sorry cant or want help huh! its not funny because ive done my share of asking for help and get turned down.do you people think thats funny? i dont. its down right a pity, a shame and a disgrace to be an american. Why should the “rich” pay for you. They have worked just as hard as anyone else. I am barely making ends meet but I would NEVER think I am entitled to anything that I didn’t work for. I agree with Linda….. I don’t feel that just because someone has worked hard for their wages, that they are supposed to turn around a give it away to someone that says “I’m poor. I beg and plead for money.” If you deserve financial help, there are programs that will help people that are truly entitled and qualify for financial help. Jo Ann James makes it sound like anyone that is doing well, should mail her money…. just because?????? Disability is money you put info social security on your own. If you become disabled you get your money, not others. You are 100% correct. Why doesn’t anyone else understand that? No, what you get is based upon a formula which considers what you paid in but what you receive is not yours. Moreover, what difference does it make? In 3 years of disability you will use up all the money you put in. So the people who are working are paying for you. The way taxation works is that people pay taxes to finance those things necessary for the good of the people and the country. This concept is especially difficult for today’s Americans, but this is how societies/nations function. We pay for roads we don’t personally use, schools we don’t personally attend, fire services we might never need, an extreme military budget that we might deeply oppose. This is a grownup responsibility. It is not about entitlements! It is about a program that have worked since 1956, that every tax payer agree to pay into and benefit from. Yes, Social Security/Medicare are entitlements, by definition. I don’t know what you think that word means, but an entitlement is a benefit for which on becomes eligible upon meeting certain conditions, such as reaching retirement age. If you live long, or need major medical care, you will get back far more in benefits than you, personally, paid in. We have aid programs for the disabled who were either never in the workforce, or became disabled before retirement, because most people are not selfish beasts who would rather see fellow citizens suffer and die. Linda ,working class ,not the rich ,are paying for America on their back the rich and the poor ,have totally put all the burden on the worker.The fact that the finger points to the poor always makes me laugh .The rich do not pay .Ask Trump,he would be a fool if he did not take those IRS brakes. Not true. Many rich people, like Trump, the Kochs and other billionaires were trust fund babies and didn’t need to work a day in their lives. Others created innovations, particularly in the tech sector. Many of these billionaires have trusts to help those in need. No, but admittedly, since the Clinton admin. it has become cool to ignore our poverty crisis. For the seriously ill/disabled, conditions became all the more difficult, but that’s a complicated issue, and we’re in an era of “Keep it simple.” Beyond this, some HAVE been trying for years to shine a spotlight on America’s poverty crisis. The US shut down/shipped out a huge number of jobs since the 1980s, ended actual welfare aid in the 1990s, and Americans pretend there are no consequences. Playing the blame game of who started the problems will not cure the ills of this Nations. What we need is Politician on the Federal and State levels of Government to fix the situation. What does need to be addressed is the theiving and corrupt administration who spends taxpayers money for everything else like its their own bank account. How many Americans do you know of that spends 42Million on their vaccations? Now times that by 6 since thats how many FAMILY vaccations the Obamas have taken. Not to mention all the other side trips to other countries that weve paid for because they “Needed to get away”. Or how many grandmothers do you know that get paid 160.000$ a year for supposedly babysitting their grandkids? Which i might add are in high school and college. None that i know of gets paid that,since grandmothers will babysit because they love and want to spend time with them,is payment enough. I guess it wasnt enough Michelles mother has been living in the White House for the past 8yrs on the taxpayers. With all their money im sure she could of got her own place. So that is unjustified as far as im concerned. But for her to continue to receive that kind of money for the rest of her life is even more of an unjustice to the American taxpayer,and for doing what? Nothing!!! Times that money wasted on her for 10-15 more years when to be fair that kind of money would be better used for our Vets-homeless-elderly,education,school lunches that our children can actually eat. The list is longer than route 66. So you dont see anything wrong with illegals and refugees obama has approved monthly benefits from anywhere between 2,000-5,000 in SS and housing,food stamps,medical and transportation? You must think its absurd that an American would ask for alittle more to come their way since theyve been a taxpayer most of their lives? Have you noticed that President Trump is working for no salary? JFK was the last President to do that. We would have more money for the poor if federal Congressmen did not get free health care and a salary for life, even after serving one term. If the politicians had to follow the same federal rules the rest of us do, everything would be fairer. sounds like farther and farther is the terminology meant to be used “not” father. Peggy, what difference does it make whether he used the right word for what he meant, the reader understands what he is saying. What is your real point? You need to hire an attorney that is a specialist in social security benefits. The cost of the assistance from that help is worth it, especially once you realize that you no longer have the stress of trying to get everything that is required by the social security determination board. Attorneys who specializes in ssdi knows what, when & how to proceed with your application or appeal for ssdi benefits for you to receive the maximum amount that you are entitled to without further delay. In the end the judge makes the final decision on the total amount your attorney is allowed to receive for their assistance with your claim. In other words say the attorney submits a bill to you that is out of the “norm” or what the law says they are entitled to take from your benefit award package, the judge reviews the Attorneys submitted fees. If the judge thinks the fee is too much or that the lawyer is taking too much from your award he can “override” that total amount, he can decide what the attorney Will be ALLOWED to be paid for his services in your claim. Period. So do not let the costs of an attorney deter you to get the HELP you are seeking. Thank you for your comment Nanachristy. Prior to charging or collecting a fee from a claimant for services provided in any proceeding before the Social Security Administration (SSA), a representative generally must obtain SSA’s authorization. Please visit our “Fee Agreement Process” web page for complete information. True, there are consequences. The more give away programs you have the less the able bodied are incentivised to work. You really think that the little amounts that social security disability gives people that are disabled makes them not wanting to work? HA. If i could work I could. Sorry but 964 in SSDI and 16$ in food stamps is hardly enough. If i could work i’d be happy to but sadly I cannot. Unfortunately a lot of emotion and little knowledge being bandied about. 60 years ago Congress thought people could save, they would have a pension and have social security. It was not meant to live on. The idea that the Clintons started the end of the welfare state is absurd and uninformed. It started with Carter, picked up with Reagan, and since the Clintons had few principles other than staying in office, they were GOP-lite. Bush was awful and Obama had no cooperation. The point of all this: you probably voted for lots of these folks thinking you could magically cut the budget and get rid of the deadbeats. They can’t believe their good fortune at your appalling lack of understanding. Social insurance is like any other insurance: funds are collected and administered to those that have the right to claim. To think that social security is a form of welfare is sheer dishonesty, yet you just voted in a President and House that believes just that and will pursue that agenda. Ridding us of social security is as dumb as getting rid of auto insurance, homeowner insurance or health insurance. The only difference is the animus that goes against any involvement by government. Voting has consequences. Good luck with what you fell for in voting for “Make America Great Again”. Disability payments were not the original intent of social security at all! That should have been a separate program with its own funding. Instead last year the government quietly took away file and suspend from people who had worked and waited for years to follow the rules finally get it. Now instead of complaining about not getting enough their going to get nothing! The money was taken from them and given to people on disability. I have a friend who has a twenty something son on disability who could do something but instead lays around the house all day smoking and playing video games when he isn’t abusing his mother. I’m 65 and work full time no matter how I feel. I quest I’ll just have to continue to work until I die to support people like this that game the system. No, I am not going to help people that care to not help themselves. I worked hard and so can everyone in this country. I do agree with you they really don’t care I’m on ssdi was getting 1590 a month and now getting $663 because of spousal support I was on the job market for 25 years for the Portland public schools and had to retired early and had to get a knee replacement on my left and will need it done on my right knee and now have to take the ex wife to court to try to get the court to stop the spousal my ex wife used me for money and was married and I been paying the ex wife she never report it so I being going crazy on this so I have court this month on 11-28-2017 and hope my attorney help me on this crazy spousal support it been over 12 years since on paying I was married for 25 years I did work 16 hours a day trying to make it easy for me but was over work. maybe its time we lived together in affordable housing, instaed of alone it would be good for our mental health too having someone to talk with and care. the apt still could charge 30% of the higher income so you split that in half look how much is saved back into your need;s such as your health, pills or whatever you need. its an idea and i feel a good one. I would like to know that too, what happens when I turn 65? If you are retired you are eligible for Medicare. If you are disabled and get Medicare, nothing happens that would effect you. Medicare is our country’s health insurance program for people age 65 or older. Certain people younger than age 65 can qualify for Medicare, too, including those with disabilities and those who have permanent kidney failure. Visit http://www.Medicare for general information. you are considered retired at age 65 0r 66 yrs of age depending on what year your born. The benefit amount doesnt change when you go from SSDI to retirement age. At age 65 0r later you are switched to regular social security & no longer on SSDI which comes from different trust fund. I am collecting SSDI, is it possible to collect more money off my ex-husband record. We were married for 20 years. I am now 62 years old. Hi Jennifer, When you go on regular social security at 65 yrs old, I would ask SSA to do a benefit check to see which is the higher amount.Your deceased husbands earnings or your own.SSA is supposed to give you the higher of the 2 amounts. Hope this helps.widows benefit or your own salary. Check with SSA and see if it would be to your advantage to file on your husband’s record. Do it now, don’t wait until you are 65 or 66. I will be off SSDI in April since I turn 65. Presently I am working one day per week. Is there a limit on what I can earn before it will affect my SS benefits starting in April? I guess what is the SGA (substantial gainful amount) for 2017? Thank you! Hi Kathy, Social Security disability benefits automatically change to retirement benefits when disability beneficiaries attain their full retirement age. Please note that for individuals born after 1937 their full retirement age is older than 65. The monthly Substantial Gainful Activity (SGA) amount for 2017 is $1170 ($1950 for statutorily blind individuals). We recommend that you read our publication “Working While Disabled – How We Can Help”, to learn more about the special rules that make it possible for people receiving Social Security disability benefits to work and still receive monthly payments. Thanks! You are working for your money you worked for , its disadvantage program . you get no more you get less read everything fine print before you make a decision. They make it sound good n fact its not, why be someone’s ninny please read everything , I’m sorry I believed that it was about help its manipulation, a feather in their cap. So done and I’m 58 on disabled and work 3 x w week for 15.00 in food stamps and they condstaley take more and more now its a overpayment 9000.00 go figure and I have a pro bono attorney that specilizes with this and so much more . call legal service in your state. County I continue to fight I’m getting tired . Its to much I have worked and put in ok .
Why don’t we make an amount each month to support us on SSDI? There is a number for people to collect other benefits because their amount each month is to low. How much is to much to be considered to be welfare level? Or the line of poor property level ? Say like the military does it with time and service. Then everybody knows what’s going on. What do you consider “welfare level?” Our former AFDC provided roughly $400 per month (depending on the state) for a family of two (one parent, one child). As I recall, General Assistance benefits for a single adult were under $200 per month. Americans said this was excessively generous, enabling the welfare recipients to buy designer clothes and big screen TVs. What is really pathetic is dreamers are likely getting Foster care special needs because of a host of reasons. They have got deep in our social security HHS programs by requiring you are bilingual. They even pay foster care for illegal adults. I’m thinking President Trump knows what they are doing and this is being investigated. It’s also illegal what they are doing. They are playing with loopholes scamming Americans deeply. Like a family of three Foster kid’s pays around $1200 per child plus food and clothing allowances. A American family doesn’t get Foster care because they have to report the mother in the household so here this family where I am gets maybe $475 a month cash, medical and food. One consideration for getting a pass for America is you haven’t used our American citizens safety net. I’m sympathetic as anyone but sorry, we’d been had. You could be ever so nice with thousands coming in the household Free thanks to our middle class American workers. The more I see Americans suffering the less sympathetic I feel for people sent here to break the government down and then we’re socialist or communist state. This is why TRUMP got mad at elite and finally ran for America. They have beat this man’s family down, accuse him of horrible things. I’ve watched Donald Trump succeed then fail and pick himself back up. All legal regardless of what the establishment elite try to fake media play on your emotions. Trump, like myself came from a era where there was a real prejudice was openly happening. My family was told a man who helped my Dad in the pits racing dirt track. We could come in but he has to eat outside back. Of course we left. It’s not against the law to be prejudice or racist but it’s not nice. Trump wants to try to get people working jobs and over time we will UNITE. It’s been difficult for everyone middle class and down. Illegals play a big part of this. They are taking billions of dollars that should be used for Americans. Special education. Our children are not being educated properly. It’s been getting worse every year. Why do the over 800,000 refugees Obama snuck in by parcel planes all last year get Social security and Medicare-medicaid? These benefits are for Americans who work their whole lives paying into unless they become disabled. I suppose knowing this CLINTONS would have broke our safety net really quick. Refugees aren’t supposed to stay forever. When their country becomes safe they are supposed to go home and get back to their lives. These refugees have been at war with our soldiers. Do you have any idea what this effect is on many of our service members? Do you think about the stuff I’m telling you? I’m disabled and loved working. I was doing social work and I loved helping people. I made it my daily driver to help people know there’s alternatives to being on welfare. There’s people who really need help. These are just my opinion and the way I understand things are and hopefully our President is able to achieve his vision for helping Americans who have been left behind especially and hopefully ganglands. But the people there will also need to help him with this. They will need to protect any businesses that come there like it is your beloved family. They will be taking chances on you in areas like this. Good jobs will make a big difference for everyone. If the 84 million not working were working things would naturally turn around because you have more people paying in. If we get the programs fixed we can get rolling. Trump has given the message he laid out on his address to Congress. People who listened to him speak would be able to pick up the lies and see how clips presented were not what he was saying. The message is one any American regardless of party should agree with, it’s common sense. My prayers and besides helping kids in schools to create environment they can learn right I asked him to help get safety to the children, Mom’s and Dad’s all people who are trapped. It’s been wrong and a promise made to the people there for decades. They get trapped as children in the cycle. It’s gone on so long they think it’s normal. And it is for them. Even the elderly grew up with this no hope situation. But you have to work and get the ball rolling. Let little business survive and hopefully your kids can get little jobs after school a couple days a week for spending money and hopefully save at least $25 a month forever. When you get a raise you increase your savings by a little. Over time this grows. There’s barely any reason you should touch this money. Bail definitely isn’t a reason unless it’s your child who is for sure innocent. Hoping for the best for all Americans. God bless you and my prayers are people give things a chance and just try to smile or even hold the door for someone you wouldn’t normally do. Keep your good deeds to yourself and little by little your self esteem picks up. You will feel your value. If you are prejudice maybe you could try to find some good in others, or not. It’s your choice. I feel that SSA should be equally important as anyone else with a disability and trying to get on it. Maybe we need to look at the ones who are avusing the system. No one is abusing the system. If you read any of this, you will see that qualification requirements are extremely stringent. Having a disability alone doesn’t qualify one for SSDI or SSI. It must be medically established that the disability is so severe as to make gainful employment impossible. Cases are regularly reviewed to determine if the condition has improved. Thank you for your question Nancy. Under current law, individuals can only apply for disability benefits before they reach their full retirement age. For individuals born after 1937 their full retirement age is older than 65. When a person begins to receive benefits at age 62 or prior to their full retirement age, their benefits are reduced. The reduction factors are permanently applied to all of the benefits the person may qualify for, including spouse’s benefits. Remember, if someone is eligible for both, his or her own benefit and for benefits as a spouse, we always pay their own first. If their spousal benefits are higher than their own benefits, he or she will get a combination of benefits equaling the higher spouse benefit. Also, disability payments are established at the highest rate possible, meaning that you get a higher monthly benefit amount. For specific questions, please call our toll free number at 1-800-772-1213, Monday through Friday, between 7 a.m. and 7 p.m. and speak with one of our representatives. Thanks. HI: How can I get Help to my Rent ….From. my SSa Or Texas Star + Plus ?Thanks. Contact the Texas public assistance office. I personally believe that giving the 3% increase for Social Security and SSDI was a slap in the face. My check went up $4.. It was only 2% FYI. Yeah it’s not much and congress wants 25%? It was only .3 %. Most checks did not go up after they deducted to the increased Medicare premium. That was 0.3% which is less than 1/2 percent increase. You will not even get a 1% increase my friend. Take a look again. You are lucky to get anything in your check. My check doesn’t change at all. I get nothing extra next year. And I’m struggling like heck now. I did not receive a cost of living increase of any amount or a bonus. I work and go to school full time. Cost of living increases should not be expected from any payor source. It is going to show in 2017.$5 for retirees .Negotiated cost of living is a plus ,paid Holidays and health care also a plus .A good package will equal a wage. HI: How can I get Help to my Rent ….From. my SSa Or Texas Star + Plus ? I have this card. STAR+Plus but. Can’t activated ? Thanks for helping me out to get a good Penafitt. Hi Razan. Individuals may be eligible to receive assistance from the state where they live. These services include Medicaid, free meals, housekeeping help, transportation or help with other problems. You can get information about services in your area from your state or local social services office. You can also visit the U. S. Department of Health and Human Services (HHS) web page for more information. We hope this helps. We didn’t get a 3 percent raise,we got a 3 tenth percent raise. My raise was $1.40 cent .look like i should be eligible for ssi, with the little money i get a month. I worked hard all my life. I’m 69 now with arthritis and still trying to fumble around and try to work. I need help what can i do, I can’t pay my bills, please what is my options. In my opinion, become an independent contractor and sell your “life knowledge” online. Become a life coach. The cost for a license or permit are a nominal fee. If you present yourself as a trustworthy guide, the snowball will grow. Many of today’s young adults have no sense for the world. Word of mouth in the working class indicates both parents are forced to work or single parents are forced to work 2, sometimes 3 jobs with little time for parental guidance. Working parents send their children to public school to be ignored until 18 years old. Unless our financial system is reformed to support it’s own citizens FIRST, this wage slave cycle will never change. I believe change must be made in the way workers live and allow others time to adopt this change. Then will we see our economy shift to benefit all. Then will the need for financial assistance become obsolete. Keep your head up. Ike. Hello Mr. Hammond, you can find out if you are eligible for Supplemental Security Income (SSI) or other benefits by visiting the Benefit Eligibility Screening Tool and answer a few questions. You may also be eligible to receive additional assistance from the state where you live. These services include Medicaid, free meals, housekeeping help, transportation or help with other problems. You can get information about services in your area from your state or local social services office. You can also visit the U. S. Department of Health and Human Services (HHS) web page for more information. We hope this information helps. My grandson is 24 and has had epileptic seizures since birth. Though he takes 5 meds everyday SSI said he can work so they cut off his check. He is not allowed to drive due to his condition. How can we stop this insanity and have his SSI continue? We are sorry to hear about your grandson’s situation. If he was recently denied Social Security benefits or Supplemental Security Income (SSI) for medical or non-medical reasons, and if he does not agree with our decision, he has the right to file an appeal. He may request an appeal online and provide documents electronically to support his appeal.Thanks. I have requested an informal hearing concerning all my SSA benefits. I sent all info to sabre street, Virginia Beach, Va. office suite 100 attention claims unit. concerning the severity of my disabilities. Yes it is sever but how do you measure severity ? Hi Mark. The Social Security Act sets out a very strict definition of disability, much different than the requirements for other government programs. We pay disability benefits to people who are unable to work because of a medical condition that is expected to last one year or more or to end in death. No benefits are payable for partial disability or short-term disability. To learn more about the process we use to decide if you are disabled under our rules, visit our Disability Planner: How We Decide If You Are Disabled. Thanks! You have to pay taxes on your new SSA account ? Hi Katherine, Social Security benefits are handled through the Old-Age and Survivors Insurance (OASI) and Disability Insurance (DI) Trust Funds. Under current law Social Security disability benefits can only be paid to individuals under full retirement age. Full retirement age had been 65 for many years. However, beginning with people born in 1938 or later, that age gradually increases until it reaches 67 for people born after 1959. Social Security disability benefits automatically change to retirement benefits when disability beneficiaries attain their full retirement age. The benefit amount will generally remain the same. Also, some people who get Social Security have to pay taxes on their benefits. You’ll be affected only if you have substantial income in addition to your Social Security benefits. For more information, contact the Internal Revenue Service. Thanks. It amazes me that we got a .03 raise this year but every time I go to the grocery store, I wished products just went up 03. I don’t see how people can afford food anymore, and I know it will get better, HA! Why do children born with severe disabilities, not qualify for disability until they are 18 yeas old? Thank you for your question Dave. Disabled children younger than age 18, whose parents have little income or resources may be eligible for Supplemental Security Income benefits. Disabled Adult Children who became disabled prior to age 22, may be eligible for Social Security Disability Insurance (SSDI) benefits. We call this SSDI benefit a “child’s” benefit because it’s paid on a parent’s Social Security earnings record. Please read our publication “Benefits For Children With Disabilities” for more information. Ge8ngehag&#o217;s best chapters are precisely on that, and the mystery about why something like “Let people join unions, freely and without coercion, without the threat of being fired” makes so many people groan and turn away. What is more democratic than being able to join a union without being fired? I am on ssdI. My biggest fear in not having that monthly check. Is that somehing that can happen? I have some issue about to get my SSDI now i became unable to work at age 46 years old since my get kill in haiti.i been suffering with major depression Diabetes bipolar high blood pressure sleep desorder stress problems chronic pain ECT.but i was an ssi now i try to get SSDI.because i have 25 ssa telling i need 15 more credit.i am 63 years old and unable working. The current SSA is under attack by persons filing false disability claims in order to obtain US benefits illegally. Payees, or designated payees, misrepresent themselves in writing and in person in order to obtain access to the precious, vulnerable individuals, who I can name and identify. This issue is of utmost urgency and priority, as precious and vulnerable individuals are at risk and need immediate supervision. An overhaul of the US Dept. of Social Security and Medicaid/Medicare in the US must be given stat priority. The current acting Commissioner of Social Security is in need of tighter supervisory controls and not fit to serve in this capacity as it is a conflict of interest. Perhaps after undergoing behavioral therapy intervention he can continue but not until that happens. We must not fear any further. Fraud is fraud, and it costs US taxpayers money. Those who serve in the US government must be of upright character, uphold all of the tenets of the US Constitution and Bill of Rights, and not be afraid of blackmail or retaliation by terrorists and other mentally unstable persons or entities for any reason. We can stand united against these enemies. Our future as a nation and as a species depends upon our strength and unity, right now. I pledge my support and continued cooperation. I am disabled. Buying a house with another individual 50 % – 50%. We are not married do our own lives and bills ect… each our own.Room mate resently had his job burn down twice and started back to work same job. They don’t have automatic deposit where he work. In order to get his check in same day because he wouldn’t get to bank before closing he had me cash and deposit it so it would go in same day. He put my name on his account so I could do that for him. We don’t use each others account and he is not on anything of mine. It was a favor so the house payments would get paid on time. Now s.s.i. has used his income and charged me $890 over payment. They will not reverse it. His stuff has nothing to do with me but they some how got his bank statement because he allowed me to cash and deposit his check for him. I have nothing to do with his stuff. He was quite angry s.s.i got into his account too. Now my payments are going from $750 to $380 and I cant even afford to go to Dr. Had to cancel 2 Dr appointments out of town plus my transmission is going out on my car and cant get it fixed. With out them taking out I have a balance at end of month of $2 -$5. I cant make it on this little money. I explained this to them. He wrote a letter to them and it fall on deaf ears. I filled out the paper work to get them to drop it. She refuses. So for the next 3 years or so I will be penalized for cashing and depositing a persons check for them so it would go in the same day all because they usurally wouldn’t get off work til 6 and banks closed. I am so fruistrated. I cant sleep and am back to wondering why I exsist only for people to harass. Help!!! So unfair. Texas Department of Assistive and Rehabilitative Services (D.A.R.S.) ruled that my brother in law with stage four cancer was not disabled according to their doctors. The results were sent to Social Security Adm. in Harlingen, Texas and that is what they ruled. I will be appealing with strong doctor statements and photographs for a favorable decision. Chemotherapy will initiate this coming Thursday and hopefully, a decision will have been done. Mr. Casanova, case worker just ruled it without asking-calling-or follow up with a letter why he was denied. Gina Clemons, Associate Commissioner, Office of Disability could you please confirm an appointment for March 27, 2018 at 11am. If you or Mr. Ray Fernandez, Public Affairs Specialist have any questions, please do not hesitate to contact A.S.A.P.. Does my SSDI change when I turn 65? everything , and why/ how. Me! Please let me know soon. Retired at 62 because I could no longer do the job because of my diabetes. I draw survivor benefits from my husband, but I called SS & they said I could not. Hello Phyllis. We do not have access to personal information in this venue, therefore, we cannot update information on your record. If you get Social Security benefits or are enrolled in Medicare, you can change your address online by using a my Social Security account. Just a reminder – Please be cautious about posting personal information on social media channels. Thanks! My daughter just received a letter from Social Security that she will be receiving disability checks starting in February 2018. She will receive her first check in November. She passed away May 20, 2018. Will she receive the 3 checks and do I need to mail the original death certificate . Susan Linda Manous-8-12-1965 DOB and SS # *** – ** – *** address 7445 Union Hill RD, Canton, GA 30115. I am her representative. We are sorry for your loss, Sara. You will need to contact the local Social Security in your area and speak to one of our agents. In the case your daughter was awarded benefits under the “regular” disability program (SSDI), you may be required to complete Form SSA-1724 (Claim for Amounts Due in the Case of a Deceased Beneficiary). Please bring with you the letter and the death certificate. If unable to visit the local office, please call our toll free number at 1-800-772-1213 for assistance. Representatives are available Monday through Friday, between 7 a.m. and 7 p.m.
Just a reminder – We do not have access to personal information in this venue. Please be cautious about posting personal information on social media channels. Thanks. Social Security Disability or SSD is the money you paid in when you were working. SSI is money that comes from the state for people that did not work or made very little money. SSD is our money. no one else’s. SSI is our money also helping the poor. I’m sick of people calling SSD entitlements when they are NOT. Hi Peggy, thank you for using our blog to ask your question. Individuals receiving Social Security disability benefits are automatically enrolled in Medicare Hospital Insurance (Part A) and Medical Insurance (Part B) after 24 months of eligibility. However, a beneficiary may refuse Medicare Part B if that beneficiary or the spouse, actively works and has coverage under a group health plan, based on that employment. If that’s the case, he or she doesn’t need Medicare part B until the work activity ends or that health care coverage is dropped, whichever comes first. We always suggest that individuals speak to their personnel office, health benefits advisor, or health plan representative to see what’s best for them, and to prevent any penalties or delayed enrollment in the future. Please contact your local Social Security office for further assistance or call our toll-free number at 1-800-772-1213. Representatives are available Monday through Friday, between 7:00 a.m. and 7:00 p.m. I was a stay at home mother for 13 years, 1989-2001. I didn’t work outside the home, so no personal income. My husband divorced me. I became disabled. I lost 13 years of work income. Therefore, my disability income was very low. Does SSI have any plan for mother’s who choose to stay home to care for their children? I think I should be able to include my ex-husband’s taxed income for those years. Hi Deann: Social Security has benefits for divorced spouses. If you are divorced and unmarried, you may be able to receive benefits on your ex-spouse’s record if your marriage lasted 10 years or longer. See our Retirement Planner: If You’re Divorced for other eligibility requirements and more detailed information. If you are the divorced spouse of a worker who died and you are not married, you could get benefits just the same as a widow or widower. For more information, please visit our Surviving Divorced Spouse web page. If you receive SSDI. How long do you have to wait to try working seasonal, 10 hours a week for 2 months. I was told 3 different things from agents that work for ssa. One agent said you have to wait a year. If not a year, you would lose your benefits and have to pay back all the money received. Another agent said there is no waiting period. They explained to me about the 9 month program and ticket to work program. I have researched online, I can’t find the correct answer. Can someone explain to me the correct answer. I am confused at this point. The field agent was very rude. Also he asked if I received my information from the 800 number. I said yes, he said they don’t know anything. If they don’t know how anything, why are we directed to call them. Thanks for letting me comment. Hi Janice. Thank you for your question. Social Security has special rules that make it possible for people with disabilities receiving Social Security Disability (SSDI) or Supplemental Security Income (SSI) to work and still receive monthly payments. These are called work incentives. For SSDI beneficiaries, there is a Trial Work Period (TWP) and then an Extended Period of Eligibility (EPE). The TWP allows you to test your ability to work for at least 9 months. During this period, you will receive your full disability benefit regardless of how much you earn as long as your work activity is reported and you continue to have a disabling impairment. In 2019, any month in which earnings exceed $880 is considered a month of the 9-month trial work period. Once you’ve completed your TWP, you get a 36-month safety net called the EPE. During the EPE, you get benefits for all months your earnings or work activities are below the Substantial Gainful Activity (SGA) level as long as you continue to have a disabling impairment. Social Security will suspend cash benefits for months earnings are over SGA and start benefits again if earnings fall below the SGA level. In 2019, you are earning SGA if your earnings, after any allowable deductions, are more than $1,220 in a month. Check out Social Security’s Red Book for descriptions of the many work incentives. Hi, Vicki. We are sorry to hear about your condition. The Social Security Administration does not pay for medical or approve medical treatment. For information about what Medicare covers, please visit Medicare‘s website at http://medicare.gov/, or call 1-800-MEDICARE (1-800-633-4227; TTY 1-877-486-2048). We hope this helps! I need more money my dis check doesn’t pay enough there any other pro teams I can access? I need another Social Security Disability Update Report sent out to me because the one I received on 2/12/18 had gotten damaged.